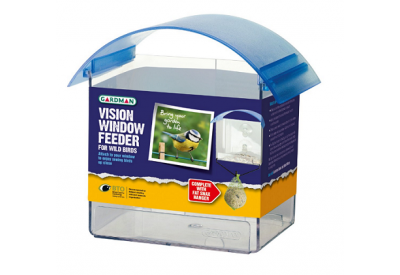 The Gardman Vision Window Feeder for wild birds, is a sturdy all plastic window feeder with strong suction pads, suitable for all types of food and attaches to your window allowing you to enjoy seeing birds up close. 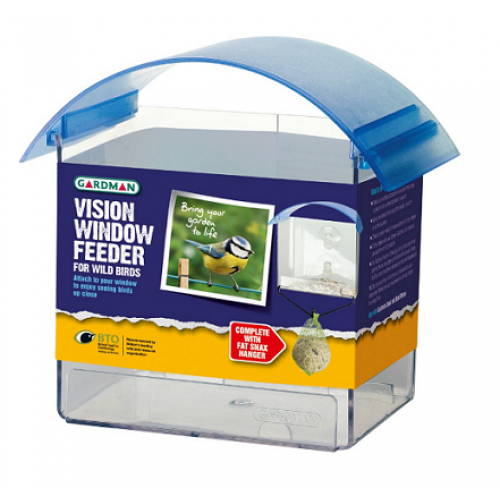 The vision window feeder comes complete with a 'fat snax' hanger. The feeder is recommended by Britain's leading wild bird research organisation (BTO - British Trust for Ornithology?